Attempting a mission with only a few personnel is dangerous. Lt. 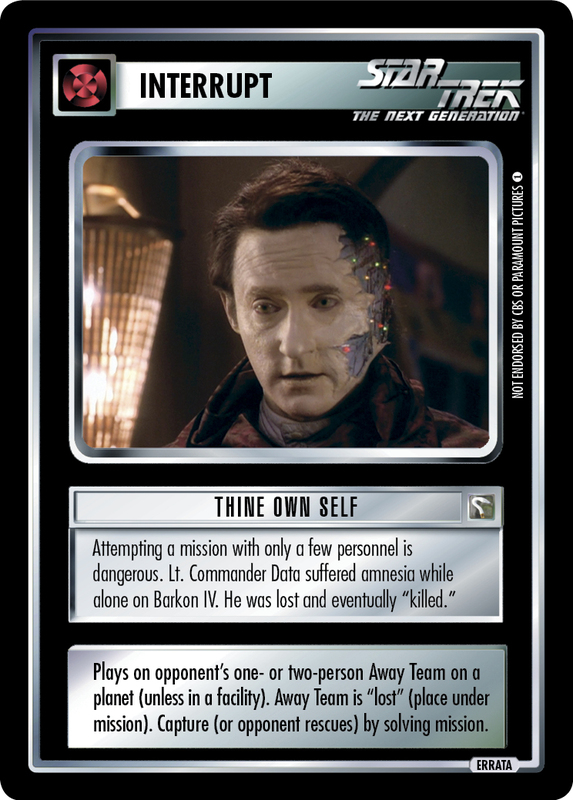 Commander Data suffered amnesia while alone on Barkon IV. He was lost and eventually "killed." Plays on opponent's one- or two-person Away Team on a planet (unless in a facility). Away Team is "lost" (place under mission). Capture (or opponent rescues) by solving mission.